Whether you need sod for a new construction project, a specific area of your existing lawn, or completely starting your lawn over, Lakes Landscape Services has the capability to handle all of your sod installation needs. We specialize in inner-city and suburban sod installation for both residential homes and commercial properties. Our company has taken the time to refine and improve the process of a sod project from start to finish to give you the highest success rate possible. So whether you live in Minneapolis, Bloomington, or any of the surrounding communities like Longfellow, Richfield, Tangletown, Nokomis, Powderhorn, Lynnhurst, Highland, MacCalister, Mendoza Heights or others, we welcome you to see the difference in our quality sod installation. At Lakes Landscape, our sod services have two parts: site preparation and sod installation. Before we install your sod, we make sure that your site is prepared using the following process. 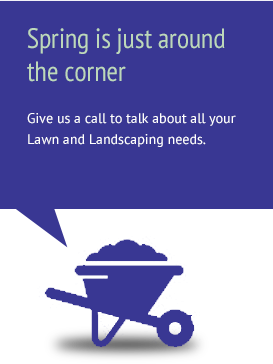 Lawn clearing: Lakes Landscape Services will clear out all existing grass, debris (etc.) and dispose of it properly. Rough grade work: We use landscape grade for draining water away from building structures and general grading for core shape. Top soil: Healthy grass needs at least 4” of top soil to flourish. Lakes Landscape Services uses a pulverized screened soil with peat moss mixture or custom mixed soils specifically for your project. The amount of soil used with amendments and fertilizers will be based on the spec for your project. Soil conditioning: This is the process of cultivating, tilling, or mixing the new soil into your existing subgrade. At Lakes Landscape Services, we use power or hydraulic equipment specifically designed for this process. Final grade work: We’ll add the final touches with the new soil, rake it, and roll it smooth in preparation for sod installation. Rolling: A lawn roller or power roller is used to smooth out, settle, and firm the grade before the sod is installed. The professionals at Lakes Landscape Services are experts in the art of installing sod. Our installation process ensures that your sod has the best chance of survival. 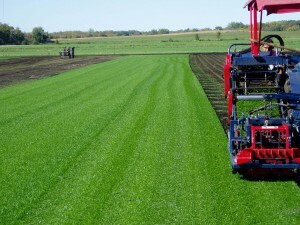 Delivery: Our sod is cut fresh daily and delivered to your home or business. Installation: We’ll make sure everything is lined up properly and that there are no gaps. Final roll and tamp. This is how we smooth out your sod. Clean up. We remove unused sod, pick up debris, and sweep up to make sure your area looks nice. Water. We’ll leave a detailed set of instructions for watering and caring for your sod so that you can keep it healthy once we’re gone.